Composed by Various. Big Note Songbook. Christmas. Songbook (big note notation). With vocal melody, piano accompaniment, lyrics, chord names and big note notation. 168 pages. Published by Hal Leonard (HL.310325). 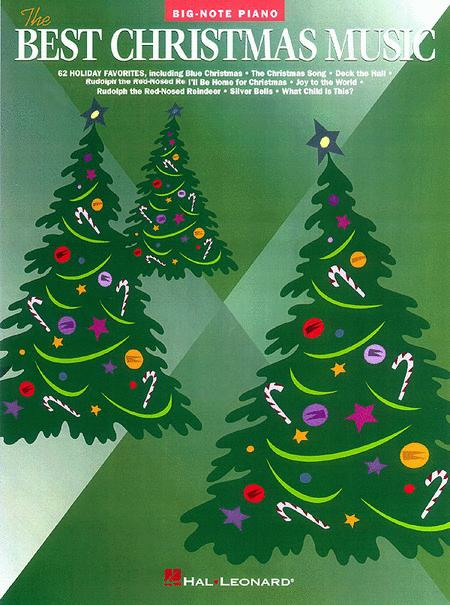 A giant collection of 62 Christmas favorites for big-note piano. Songs include: Away in a Manger * Blue Christmas * The Chipmunk Song * The Christmas Song (Chestnuts Roasting on an Open Fire) * The First Noel * Frosty the Snow Man * Grandma Got Run Over by a Reindeer * Happy Holiday * I Saw Mommy Kissing Santa Claus * It's Beginning to Look Like Christmas * Mary Had a Baby * Mister Santa * Pretty Paper * Silver Bells * Suzy Snowflake * Wonderful Christmastime * and more. 5-finger patterns still used but position changes are more frequent including one octave scale passages. Some 3 note chords. Large print, great for beginners (early and advanced) more skillful players can fill in more depth as desired. I dont want to spend months learning christmas music. You can play these right out of the box, sight reading. 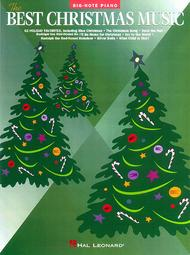 An excellent assortment of Christmas music for those who have been learning the piano for about a year.